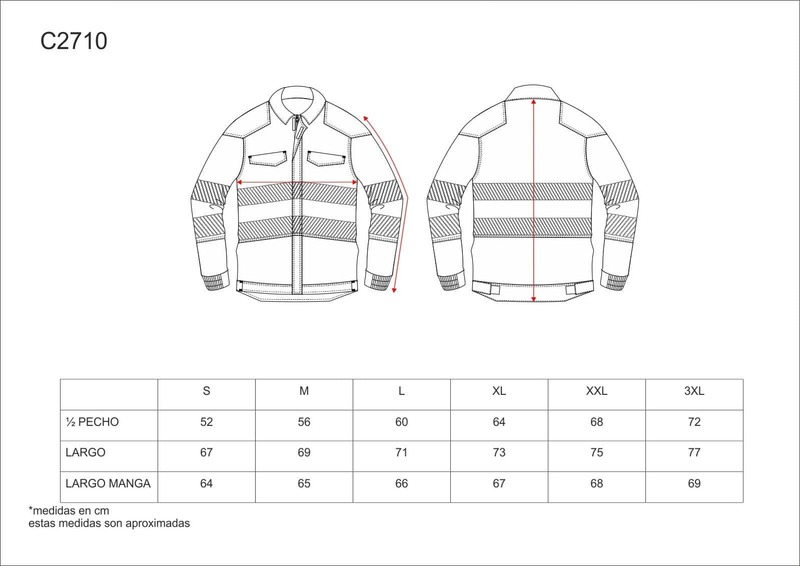 Bi-directional stretch fabric jacket by construction, combined with discontinuous reflective tapes. Shirt collar and concealed nylon zipper by velcro flap. Combined reinforcement on shoulders. Two inclined and inner pockets on chest with concealed clasp closing. Two thermo-adhesive discontinuous reflective tapes on chest, back and sleeves. Elastic cuffs. Velcro closing on waistband. Adjustable at sides by velcro.